In the middle of a dusty, bare land, Nigerian troops of the 7 Division Strike Group Team B have found something unconscionable. In Jadda, a town in Northern Nigeria, a “pit” has been found containing countless human bodies, used as if it were a receptacle for common trash, by Boko Haram. It is not an open grave, so that those who have lost their loved ones to Boko Haram can recover, and lay, their loved ones’ dead bodies to rest; no. Instead, it is a pit with a small opening, big enough only to “dispose of” the precious bodies of people who were known and loved by someone. To the living– to their mothers and fathers, wives and husbands, brothers and sisters– their bodies are lost, never to be recovered. It is stories like this that make a person sick to their stomach over the injustice of it all. If there is a “Loving God,” where is He, when things like this happen? Where is the Justice? Looking at such desolate news stories, it is hard to believe that God is moving; and, for some, that He is even real. Yet, Christ is here. And He wants to move in and through these circumstances, for His Glory, to those whose blood “cries out from the ground” to Him (Genesis 4:10). And while Christ can do this however He so wills, He loves using people– especially His people, Believers– to accomplish His Purposes. Because of this, it becomes crucial that Bible-Believing Christians seek to “Act justly, love Mercy, and walk humbly with their God” (Micah 6:8). In Micah 6, Christ (through Micah) is proclaiming very heavy charges against the Israelites, His Chosen People. Micah 6 goes on to tell of the different injustices the Israelites were doing: from stealing (v. 10), to creating dishonest weight scales (v. 11), and lying (v. 12), the Israelites had succumbed to dealing treacherously with one another in pursuit of ill-gotten gain. While many today see these things as “little sins,” such as white lies, stealing something of little value from a store, or over-charging for something one knows costs less, they are just as big as murder to Christ (Micah 7:2). These “little,” “justified” sins the Israelites committed seemed harmless enough; but, over time, they led to evil, mass corruption: “The faithful have been swept from the land; not one upright person remains. 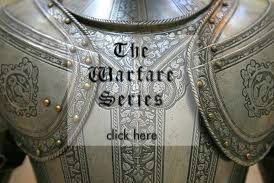 Everyone lies in wait to shed blood; they hunt each other with nets. 3 Both hands are skilled in doing evil; the ruler demands gifts, the judge accepts bribes, the powerful dictate what they desire—they all conspire together” (Micah 7:2-3, NIV). It is in this context that Jesus lays out what pleases Him: it is not overly complicated, taxing, or burdensome– and it isn’t “…thousands of rams, with ten thousand rivers of olive oil” (Micah 6:6-7). He wants His Chosen People to act fairly and honestly. By failing to obey God in this, the Israelites idolized greed and pride, and failed to pursue Justice for others. While the Israelites failed to show Justice in their own dealings, they completely forgot about the needs of others, causing them to become heartless. In refusing to submit to God, who is Love, they rejected any thought of sacrificial Love for others. It is one thing to “act justly,” and it is another to “love Mercy.” Mercy, by definition, is to show Love, or kindness, to those who can offer nothing back. This is especially true of those who don’t deserve mercy, whatsoever. Christ, who is God, modeled Mercy perfectly, as is described in Romans 5: “But God demonstrates his own love for us in this: While we were still sinners, Christ died for us” (Romans 5:8, NIV). When we held nothing of value to Christ– even hating Him, and nailing Him to the cross with our sin– He was more than merciful to us. He, who did not deserve any punishment whatsoever, took on our punishment. There is no truer form of Mercy. 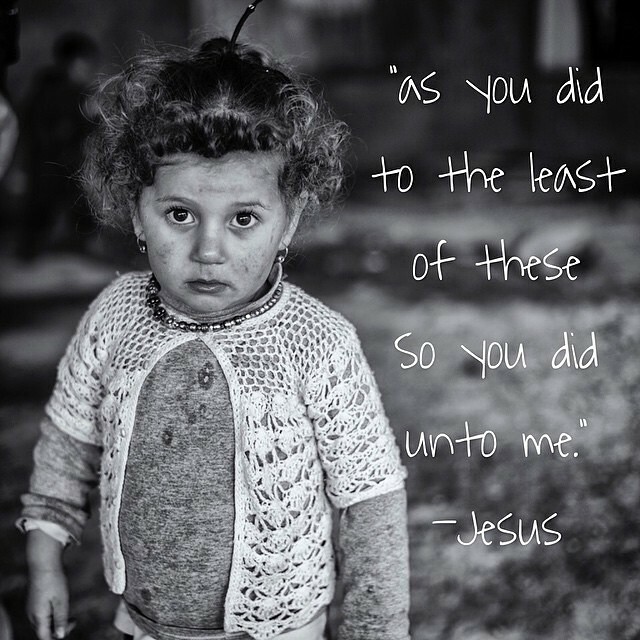 In Luke 7, Jesus highlights Mercy well. “Therefore, I tell you, her many sins have been forgiven–as her great love has shown. But whoever has been forgiven little loves little” (Luke 7:47, NIV). Mercy, just like Justice, is not shown so that one is forgiven; it is shown in light of Christ’s Kindness, and accepting His forgiveness. Believers, in light of being so forgiven, are able to show this same Mercy to others; so that, when walking with Christ, one is not only able to “act justly,” but to also Love those who don’t. “Walking humbly with your God” seems to be an amazing concept. But, what does walking humbly with our God look like? Paul describes how the walk of a Believer looks, as one who “walks in the Spirit,” in Galatians 5. This whole “walk” is different from religion. Religion is man’s attempt at “reaching” God; but when one comes to know Christ as their Lord and Savior, they are given free salvation, from the only One who can give it. Based simply on believing in what Christ has done, this free gift of salvation, “not by works, so that no one can boast,” frees one up to have a personal, Love-based relationship with God (Ephesians 2:8-9). This is where “walking in the Spirit” comes in. Upon receiving Christ as one’s Personal Lord and Savior, the Word of God Himself says a supernatural transaction takes place: “…he has identified us as his own by placing the Holy Spirit in our hearts as the first installment that guarantees everything he has promised us” (2 Corinthians 1:22). Receiving the very Spirit of God, the Believer is equipped to walk with Jesus Himself– which transcends what any man-made religion can do. Perhaps one of the most precious things about having the Holy Spirit within is being able to hear, and be guided by, Jesus’ still, small Voice (1 Kings 19:12). Being prompted, or “nudged,” by the Holy Spirit, is not a crazy phenomenon. Jesus Christ, God the Son in the Holy Trinity, showed humanity what it is to “act justly, love mercy, and walk humbly with [our] God,” as He “walked” with God the Father while on Earth. When we listen to, and act upon, the sound of Jesus’ Voice, He will show us what it looks like to “act justly, love mercy, and walk with [Him]” as well. More than this, Jesus works in us, and through us, to accomplish this very thing. In this world, as it only gets colder, darker, and more unjust, we have Hope: “And as we live in God, our love grows more perfect. So we will not be afraid on the day of judgment, but we can face him with confidence because we live like Jesus here in this world” (1 John 4:17). The people of this world– specifically in such a desolate place as Jadda, Nigeria, needs Justice, Mercy, and, most of all, the Great Love of Jesus Christ. Let us enter the darkness, radiating His Just, Merciful, Humble Light. Religion has, for ages, encouraged morality. This is no more true than the religiousness of the Jewish religious leaders, known as Scribes and Pharisees, who made it the point of their lives to do “right,” even down to tithing (giving the church/synogogue) a tenth of their herbs and spices. But, Jesus once said “…that unless your righteousness surpasses that of the Pharisees and the teachers of the law, you will certainly not enter the kingdom of heaven” (Matthew 5:20, NIV). No matter how “good” one is, one cannot “exceed the righteousness of the Pharisees”– meaning that, at its core, no one, not even the most “religious” or “spiritual,” can enter heaven. No; it would take One much more to reconcile mankind and God. It would take God Himself, Jesus Christ, to become our righteousness. Meet the God who gave it all to prove that God is Love, and God is Just, here. Praise Jesus for… How He is moving to bring Boko Haram members to Justice, to heal and help victims of Boko Haram, and rescue the countless men, women and children who have been kidnapped by Boko Haram. – The Boko Haram Insurgency. That it would be brought to Justice. – Those affected by the Boko Haram Insurgency. That they would receive Justice. – Those Kidnapped by the Boko Haram Insurgency, especially the Chibok girls. That they would be found, and brought to Justice, too. – That every party would come to know Jesus, His Grace, and His Mercy. We are all in need of Him. As Amos 5:24 says, “…let judgment run down as waters, and righteousness as a mighty stream,” in Jesus’ Name! Amen. This entry was posted in Prayer Updates and tagged #BringBackHisGirls, Boko Haram, Casualties, Chibok, Christianity, faith-based salvation, Humility, Injustice, Jadda Nigeria, Jesus Christ, justice, Mercy, Micah 6:8, Nigeria, Northern Nigeria. Bookmark the permalink. 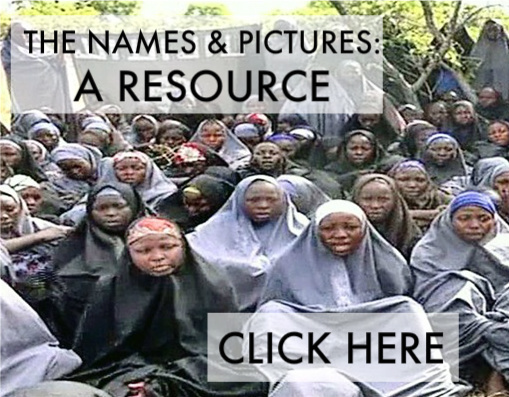 ← IMPORTANT: Chibok Girls Praise Report! Sending prayers for these dear girls…thank you for keeping their memory alive. Praise Jesus for you. All for Jesus’ Glory, honor, and praise. He has not forgotten them, and neither can we. ❤ Thank you for your encouragement.